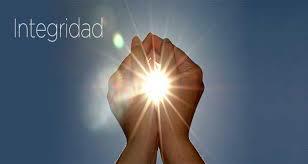 The Life And Music Of Tito Rodríguez Luis Chaluisan Salsa Magazine 87 Min. 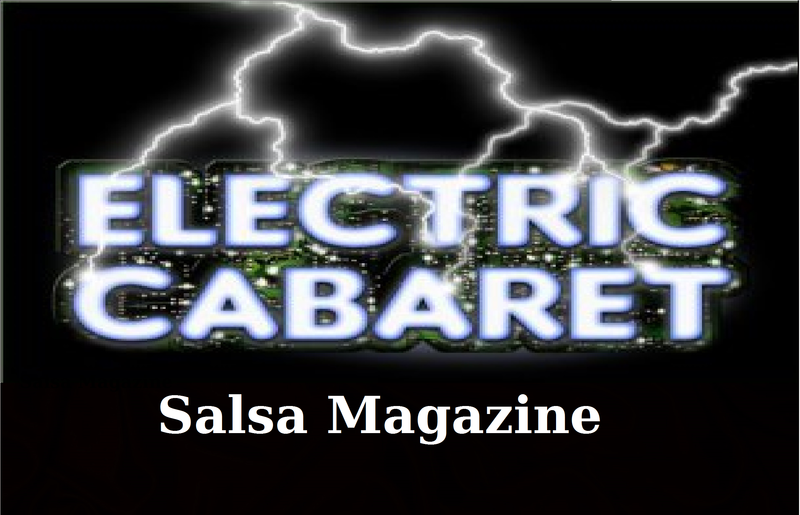 The Life And Music Of Tito Rodríguez Luis Chaluisan Salsa Magazine 87 Min from Luis Chaluisan Y Batlle on Vimeo. Vocalist, percussionist, band leader, composer, producer, label boss Tito Rodríguez was ‘equally talented as an uptempo improvising sonero (singer in the salsa style) and a romantic singer’. ‘At its peak, the Rodríguez band’s blend of Cuban-orientated numbers and tight, solo-filled instrumentals equalled any of his rivals’ (quotes from The Latin Tinge by John Storm Roberts, 1979). At the age of 16 he played maracas and sang second voice with Cuarteto Mayari before relocating to New York to live with his older brother Johnny (b. 10 October 1912, Camuy, Puerto Rico), who had moved there in 1935. Popular vocalist/composer Johnny formed his own trio in 1940; recordings he made with his trio on the Seeco label were collected on Encores De Johnny Rodríguez Y Su Trio and Siempre Favoritas De Johnny Rodríguez Y Su Trio. Rodríguez’s first job in the city was with Cuarteto Caney. After brief stints with Enric Madriguera and Xavier Cugat (as a singer and bongo player), a year in the US Army was followed by a spell singing with Noro Morales. El Dinamico Tito Rodríguez was a reissue of a Morales collection with Tito. In 1946 Cuban pianist/composer José Curbelo recruited Rodríguez and Tito Puente (on timbales) to his band, which became an ‘incubator’ for the future New York mambo sound. Recordings made by Curbelo’s band during the two years of Tito’s period of tenure were later compiled on Los Reyes Del Mambo. In 1946, while Curbelo’s band were appearing at the China Doll nightclub, Rodríguez met a Japanese American chorus girl called Tobi Kei (b. Takeku Kunimatzu, 23 January 1925, Bellingham, Washington, USA), whom he married a few months later. In February 1947, while he was still with Curbelo, Tito participated in a recording session by Chano Pozo for Gabriel Oller’s SMC label, which included the Machito band, Arsenio Rodríguez and Miguelito Valdés. Curbelo sacked Rodríguez in 1947. The band leader had given him a day off to look after Tobi, who was sick, but someone informed Curbelo that Rodríguez spent the day drinking in a bar. Tito was unemployed for some months. After leading a short-lived quintet, which he formed in late 1947, Rodríguez organized a trumpet conjunto (group) called the Mambo Devils in mid-1948. With them he recorded eight tunes for SMC, four of them arranged by Puente, who went on to become his musical antagonist. Tito later expanded his outfit to a big band, which he led until 1965. In 1949 he signed to Tico Records, formed in 1948 by two shirt label manufacturers, George Goldner and Art ‘Pancho’ Raymond. Rodríguez had to rename his band the Lobos Del Mambo (Mambo Wolves) as the aggrieved Oller objected to the use of Mambo Devils. He did two stints with the label, between 1949 and 1953 and between 1956 and 1958, during which time he released 78s, six 10-inch volumes of mambos and various 12-inch albums. Material from both these periods was later compiled on Nostalgia (1972) and Uptempo (1978). Tito made no records during 1950 because a wrangle between Goldner and Raymond suspended all recording at Tico. He resumed recording the following year when Goldner took charge of the label. In pursuit of the crossover market, Rodríguez switched to RCA Records in 1953 and his discs on the label sold well. Ritmo Y Melodia, 15 Joyas Tropicales (1990) was the most recent compilation of material culled from his RCA period. On his return to Tico, he issued Wa-Pa-Cha (1956). His final release for them was Señor Tito Rodríguez (1958). In 1960 he signed to United Artists Records on the basis that he would be the only Latin band leader to record for the company. His first album on the label, Live At The Palladium, was a great success. Conflict over top billing at New York’s famous Palladium Ballroom and elsewhere was an aspect of the rivalry that existed between Puente and Rodríguez. In 1962, Rodríguez had three consecutive massive hits: ‘Vuela La Paloma’ (From West Side Beat), ‘Cuando, Cuando’ (from Back Home In Puerto Rico) and ‘Cara De Payaso’ (from Tito Rodríguez’ Hits), which were all number 1 in Puerto Rico and other South American countries. Rodríguez and his band recorded Back Home In Puerto Rico during a two-week stay on the island in June 1962. His return was marked by official government receptions and heavy media coverage. He tried to find fame in Las Vegas with a revue, but it flopped and he made a heavy financial loss. Tito also recorded as lead singer with La Playa Sextet, whose line-up substituted the electric guitar of their Puerto Rican leader, Payo Alicea, for traditional piano. A compilation of La Playa Sextet cuts with Tito on lead vocals was issued under the title, Tito Dice… Separala Tambien!. In 1963 he issued the Latin jazz Live At Birdland, which featured the jazz musicians Zoot Sims, Clark Terry, Bob Brookmeyer, Al Cohen and Bernie Leighton. The same year Tito had a huge hit of over one-and-a-half million sales with the smoochy string laden bolero ‘Inolvidable’ (Unforgettable), contained on From Tito Rodríguez With Love. The song was written by Cuban band leader/pianist Julio Gutiérrez. He followed this with a series of soft romantic bolero albums, interspersed with uptempo collections like Tito Tito Tito, on which accompanist Israel ‘Cachao’ López’s championing of Latin jam sessions (descargas) was spotlighted on the opening track ‘Descarga Cachao’. The Rodríguez/Puente feud was reflected on some of the recordings Tito made for Musicor Records, such as ‘Avisale A Mi Contrario Que Aqui Estoy Yo’ (Tell My Adversary I’m Here) from Carnival Of The Americas (1964) and the album titleTito No. 1. Cuban vocalist Miguelito Valdés and Machito appealed to the two combatants in the Valdés-penned song ‘Que Pena Me Da’ (How Sorry I Feel) on their 1963 collaboration Reunion. Tito and his band accompanied singer Nelson Pinedo (b. Barranquilla, Colombia) on his Musicor release A Latin In America. Bad deals and conflict with his colleagues over pay led him to disband and move to Puerto Rico in 1966. Negative attitudes towards ‘Nuyoricans’ (New York Puerto Ricans) initially prevented him from breaking into Puerto Rican television, but he managed to get a show when the parent company of United Artists acquired one of the island’s channels. Guests like Shirley Bassey, Tony Bennett and Sammy Davis Jnr. appeared on his programme. He believed that anti-Nuyorican sentiment was also the reason why he did not receive an award for the show. Feeling rejected by his own people, Tito moved to Coral Gables in Miami, USA. He returned to New York and slayed the capacity audience at the Manhattan Center with the title track of Estoy Como Nunca (I’m As Good As Ever). El Doctor (1968) contained ‘Esa Bomba’, his last rivalry tune aimed at Puente. He was accompanied to Puerto Rico by arranger/saxophonist Ray Santos, who joined his band in 1963. A graduate of New York’s Juilliard School of Music, Santos did stints with Al Santiago’s Chack-a-nunu Boys, Noro Morales (twice), Machito and Tito Puente between the early 50s and 1962. He remained in Puerto Rico to work as a contractor for shows in the major hotels until 1984, when he returned to New York and took up a teaching post at the City College of New York. In 1991, Santos was hired to work on the music for the Hollywood movie adaptation, The Mambo Kings, of the Oscar Hijuelos novel The Mambo Kings Play Songs Of Love (1989). Rodríguez first displayed signs of illness in 1967 while making one of his last television shows. He decided to found his own TR Records label in 1969 and while waiting for medical test results in the UK, he used British musicians to record the music for his first TR album, Involvidable/Unforgettable. It was confirmed that he had leukaemia but he insisted that the results be kept secret. TR Records, Inc. was launched in August 1971 and his second album on the label, Palladium Memories, sold well. He teamed up with Louie Ramírez for the third release, Algo Nuevo. 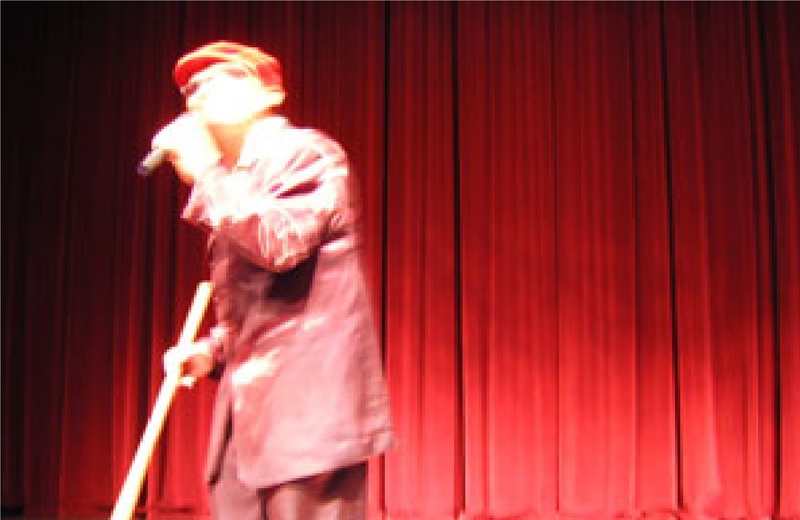 Tito’s 25th Anniversary Performance, recorded in a nightclub in Perú, was issued a month before his death. The album provoked speculation about whether he had intended it to be a farewell. Rodríguez’s last appearance was with Machito and his band at Madison Square Garden on 2 February 1973. He finally lost the battle with leukaemia and 26 days later, Tito died in Tobi’s arms. Pablo Rodríguez, 4 January 1923, Santurce, San Juan, Puerto Rico, d. 28 February 1973, New York University Hospital, New York, USA. Vocalist, percussionist, band leader, composer, producer, label boss Tito Rodríguez was ‘equally talented as an uptempo improvising sonero (singer in the salsa style) and a romantic singer’. ‘At its peak, the Rodríguez band’s blend of Cuban-orientated numbers and tight, solo-filled instrumentals equalled any of his rivals’ (quotes from The Latin Tinge by John Storm Roberts, 1979). At the age of 16 he played maracas and sang second voice with Cuarteto Mayari before relocating to New York to live with his older brother Johnny (b. 10 October 1912, Camuy, Puerto Rico), who had moved there in 1935. Popular vocalist/composer Johnny formed his own trio in 1940; recordings he made with his trio on the Seeco label were collected on Encores De Johnny Rodríguez Y Su Trio and Siempre Favoritas De Johnny Rodríguez Y Su Trio. 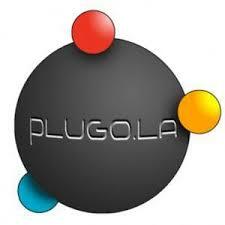 Plugola is the illicit business practice of endorsing a product or service on radio or television for personal gain, without the consent of the network or stations. “Pluggers” have been known to accept bribes of money, alcohol, or free products and services. This contrasts greatly from commercial sponsorship because the benefits of the endorsement go to the individual talent or programmers, while the stations and networks receive no revenue. 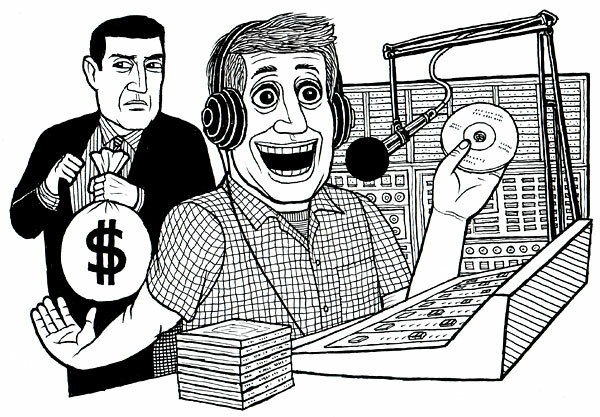 Payola, in the music industry, is the illegal practice of payment or other inducement by record companies for the broadcast of recordings on commercial radio in which the song is presented as being part of the normal day’s broadcast. Under U.S. law, 47 U.S.C. § 317, a radio station can play a specific song in exchange for money, but this must be disclosed on the air as being sponsored airtime, and that play of the song should not be counted as a “regular airplay”. The term has come to refer to any secret payment made to cast a product in a favorable light (such as obtaining positive reviews). Some radio stations report spins of the newest and most popular songs to industry publications. The number of times the songs are played can influence the perceived popularity of a song. The term payola is a combination of “pay” and “-ola” a common suffix of product names in the early 20th century, such as Pianola, Victrola, Amberola, or Crayola. [Payola has come to mean the payment of a bribe in commerce and in law to say or do a certain thing against the rules of law, but more specifically a commercial bribe. The FCC defines “payola” as a violation of the sponsorship identification rule that in 2005-06 resulted in tens of millions of dollars in fines to cable corporations in New York. 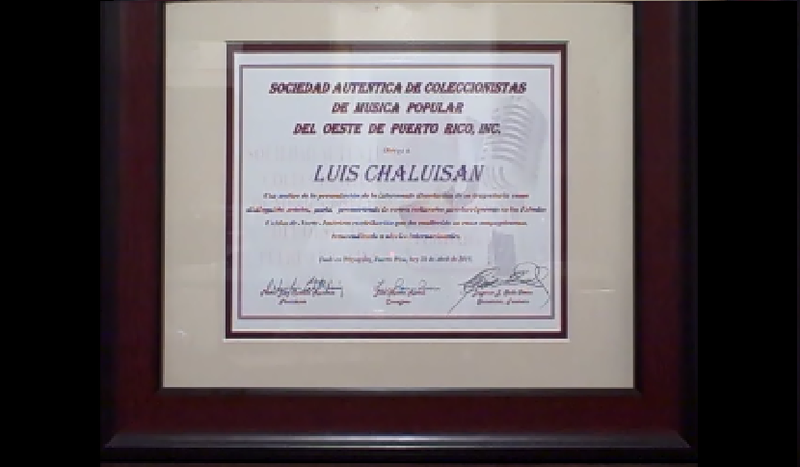 Salsa Magazine Reconocimiento 2015: Reconocimiento de Integridad como músicos. El 09 de octubre 2015 evamos a lanzar la lista completa de los músicos de todo el mundo que consideramos ser factores positivos para el avance de la Música Latina y Cultura. Las biografías de los nominados se ofrecen 1 febrero 2015 hasta 30 septiembre 2015. El 09 de octubre 2015 evamos a lanzar la lista completa de los músicos de todo el mundo que consideramos ser factores positivos para el avance de la Música Latina y Cultura. Las biografías de los nominados se ofrecen 1 febrero 2015 hasta 30 septiembre 2015. 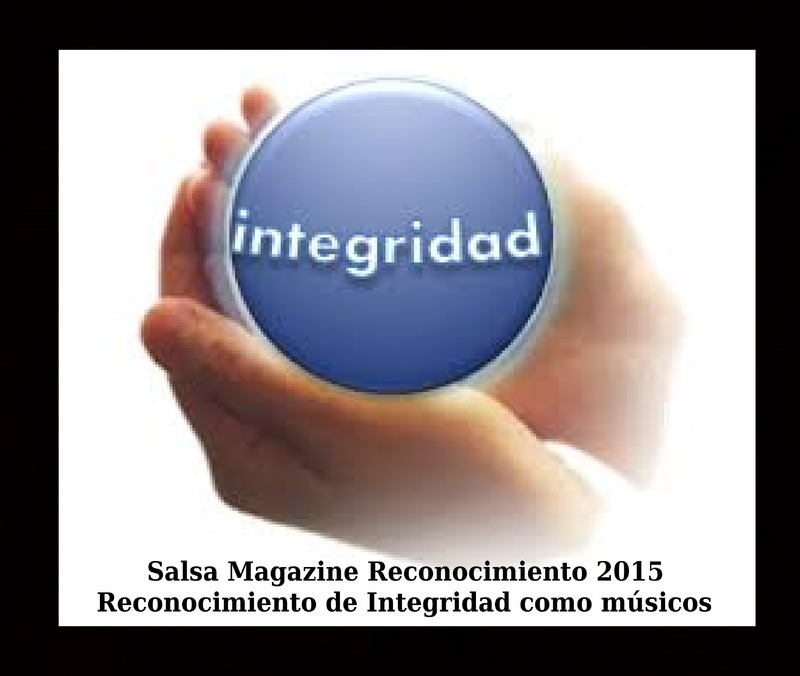 Salsa Magazine 2015 Recognition: Acknowledgement of Integrity As Musicians. On October 9th, 2015 we are releasing the complete list of musicians from across the world we consider to be positive contributors to the advancement of Latino Music and Culture. The nominees biographies are featured February 1, 2015 – September 30, 2015. When Salsa Magazine honored the top Latin music perfomers, it tapped resources in Bowling Green to do so. Local disc jockey and web TV pro ducer Luis Chaluisan with Maria Hernandez helped promote the competition. Using resources of WBGU FM and WEPAwebTV votes were tallied from around the world. More than two million votes were cast with Karibu El Son Del Caribe of Costa Rica bringing in almost 1.4 million to top the fan favorite list. The Puerto Rican band Orquesta Siglo XXI was a distant second with 632,835 votes. In all 290 acts received votes in the balloting which ended Aug. 31. The online magazine selected the top 40 performers for recognition. Performers came from both Latin American and North American, and included performers from Paris and Munich, Germany. When it came time to send out awards, Chaluisan, who lives in Bowling Green, contracted with Becky Laabs of art-a-site! in downtown to create the trophies. The awards were mailed out this week. Gracias Por Hacer Los Premios De Salsamagazine.com Un Gran Éxito! 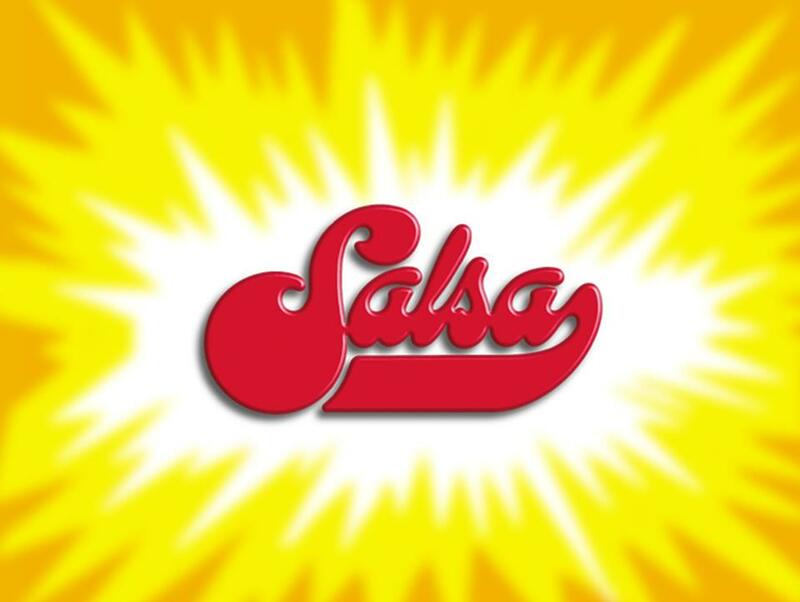 Esto es Nuestro Regalo Al Mundo De La Salsa.. Disfruten! A celebration of the world’s favorite Latino Artists selected by those who matter the most: THE FANS! 9. Orq Espada 369,153 Votes Hartford, Ct.
22. Boricua Legends 130,739 Votes New York, New York Pedro Pocholo Segundo Gilberto Colon Jr.
191. ORESTES VILATO 69,162 Votes ? 196. ORQUESTA D’CACHE 68,321 Votes ? Willie Williams – Saxes Rick Germanson – Piano Dezron Douglas – Bass Alvester Garnett – Drums Anthony Carrillo – Perc. Carlos Maldonado – Perc. 9. ORQUESTA ESPADA 369,153 Votes Hartford, Ct.
40. CONJUNTO CLASICO 77,371 Votes New York, New York — with Maria Hernandez and Luis Chaluisan in Mayaguez, Puerto Rico. 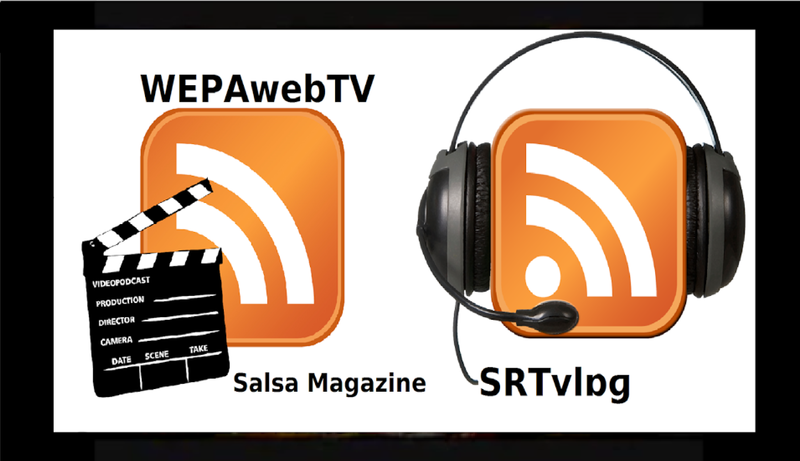 “El Sexteto De La Salsa” Luis Chaluisan Salsa Magazine “La Naza” Barrio Dulce Labios Mayaguez Puerto Rico from luis chaluisan on Vimeo. Meet Bryan López Figueroa Salsa Magazine Culinary Editor Mayaguez Puerto Rico from luis chaluisan on Vimeo.